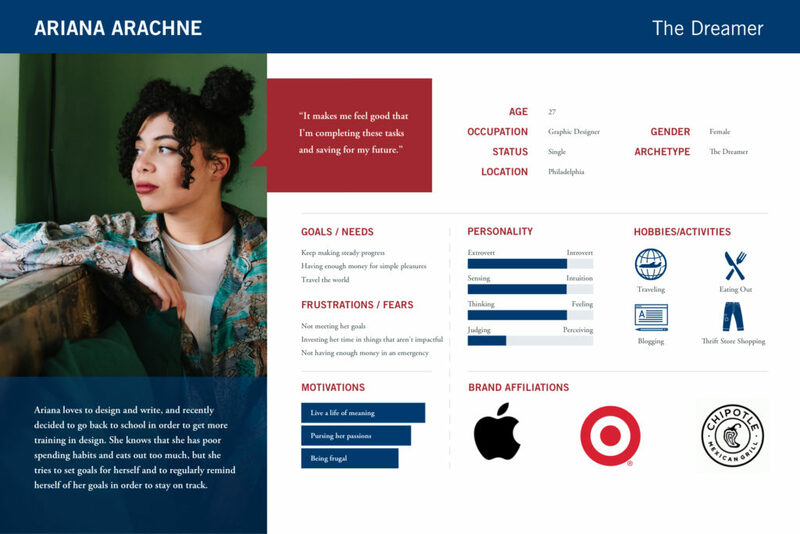 As one of the biggest banks in the US, Capital One wants to use its reach to improve the financial health of its customers, and in particular, its Millennial customers. One sobering fact is that the average credit score for Millennials is below 621 (bad), whereas the average credit score for those 50 and older is considered fair or higher. Capital One sees an opportunity to make a difference, and help Millennials with their financial challenges. Its current mobile app is well rated, but basic in functionality. The features offered focus primarily on spending and making payments. 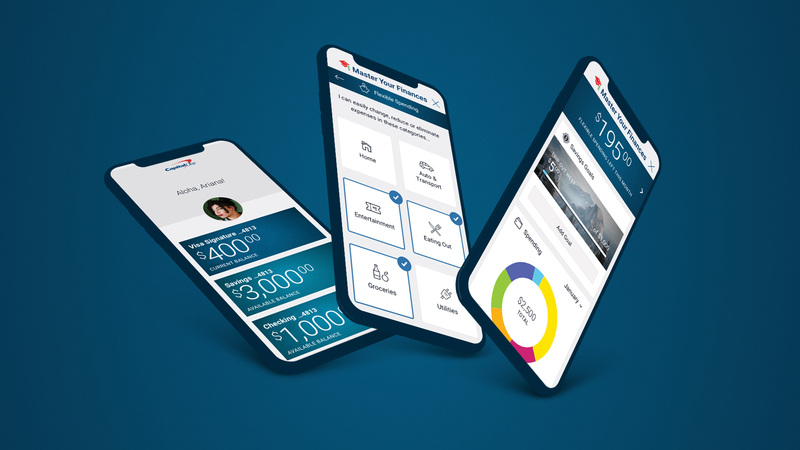 Capital One would like to round out its offerings by providing users with personalized features that allow them to manage their personal finances. The feature should embed within the current Capital One app in iOS. I interviewed seven people who use their bank’s mobile app and who have used Mint at some point to help them manage their finances. How do people manage their finances? What are the pain points with their current method? People who no longer use Mint found it “too involved.” It took too much effort to manage and split up purchases into categories. Also, items were sometimes categorized incorrectly, which took time to correct. Sometimes they missed payments because they didn’t get any notifications. Unhappy about having to pay transfer fees and that there is no indicator when money will actually get transferred. Don’t know what their savings goals should be or how to go about saving more. People liked being able to see their spending over time (especially in the form of pretty charts and graphs), and were frustrated when they couldn’t see this information. They’d like their purchases categorized on their bank’s site with payment totals. They’d like suggestions on what their savings goals should be and how to set them, and for the bank to notify users on their progress reaching those goals. I came up with a list of competitors by researching which banks and Fintech companies were doing innovative things to help manage customers’ finances. I then read their customer reviews to see what people liked and disliked about these apps, and downloaded and reviewed them for myself. Older “power” users who like to have access to all the details on their finances. I developed two personas — Ariana and Sarah — to help me develop the app, but I focused on Ariana’s needs since they couldn’t be easily met with a budgeting tool like Mint. To help me empathize and understand the needs of my main persona, Ariana, I created a journey map for her. I knew that Ariana likes to travel, has certain savings goals, and that she has trouble saving because she likes to eat out. With that in mind, I came up with a scenario for the journey map that would involve these aspects. How might we give Ariana financial advice without it seeming heavy-handed? How might we help Ariana develop better spending habits? My main persona, Ariana, likes to spend money on eating out, but at the same time, wants to be saving more money. She wants her mobile app to tell her at a glance if she has the funds to eat out with her friends at any given time. For this reason, I wanted to come up with a simple way for her to tell how much money she is free to spend. 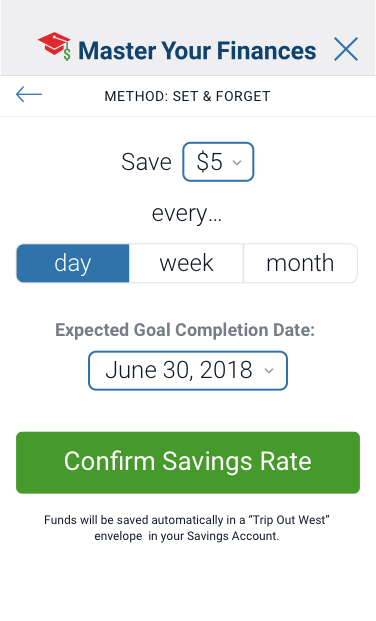 Users told me that they want to feel motivated to save more, and getting notification on their progress would feel motivating. I wanted to give users a way to set their own savings goals and determine a date by which they’d like their goals to be completed. The app would then notify users on their progress. Based on my interview findings, users would like to easily see where they are spending their money. Apps like Mint.com have been popular because they allow users to categorize their spending. Capital One already allows users to filter their purchases by category such as groceries, but I wanted to give users a quick way to see their aggregate spending within a category. Check spending on eating out. 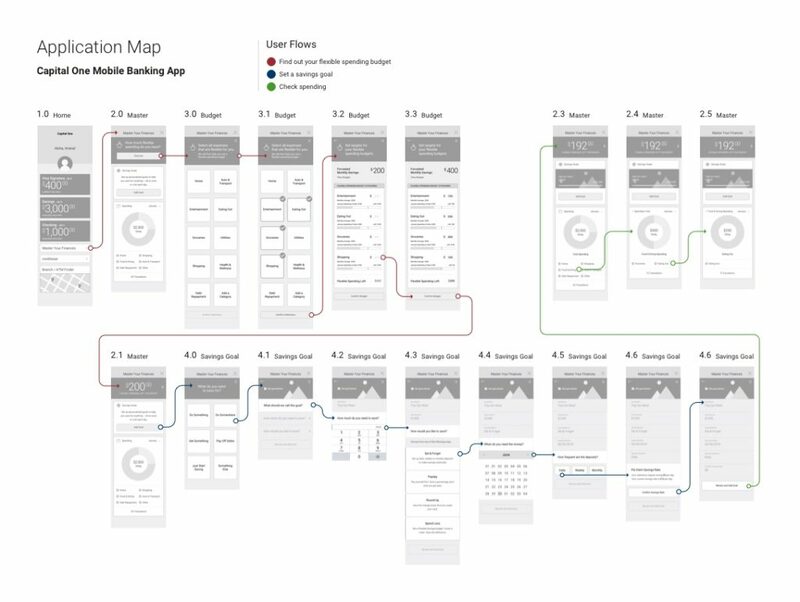 After creating my wireframes for the app, I put together an application map that shows the three user flows. 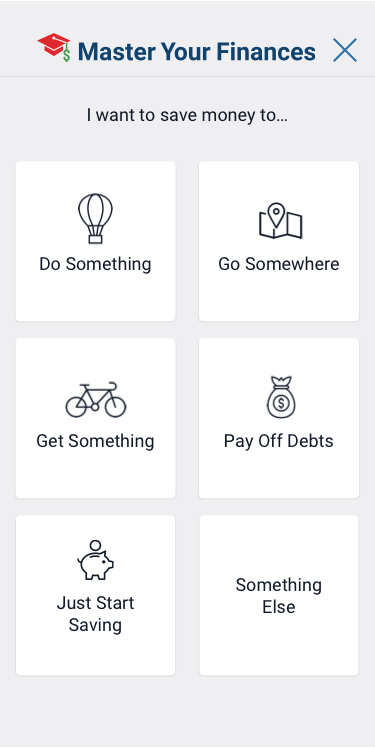 My personal finance management feature needed to be able to embed well with the rest of Capital One’s app. As a next step, I collected visual elements such as color swatches and icons from screenshots of the app, and put together a UI kit. 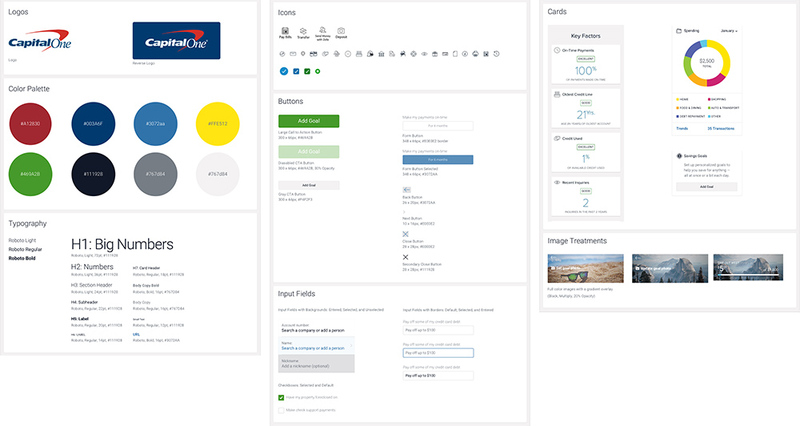 With the UI kit, I was able to apply Capital One’s look and feel on all my application screens. Shown here are several key application screens. With my wireframes, I created a low-fidelity prototype in InVision and tested it with six people. Test if users can set up a flexible spending budget. 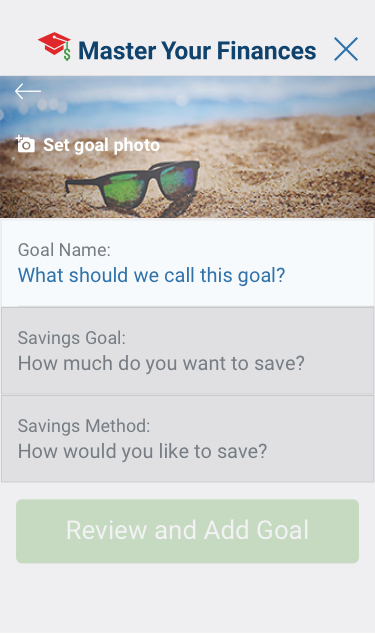 Test if users can add a savings goal for a trip. Test if users can check their spending in a specific category. Test the flow and simplicity of the interaction. Locate where users have difficulty navigating or understanding the experience. Overall, the testers had a positive experience. The tester I based my Ariana persona on told me she thought the app was “very cool.” She liked that she was able to get a lot of information at a glance that she found useful. A few of my testers, however, had some trouble understanding the Flexible Spending section. Specifically, they weren’t sure what “Flexible Spending” meant and needed more clarification. By far, the most popular feature was the ability to set up savings goals and be able to chart your progress. They especially liked that they were given a few different options for how they can meet their savings goal. 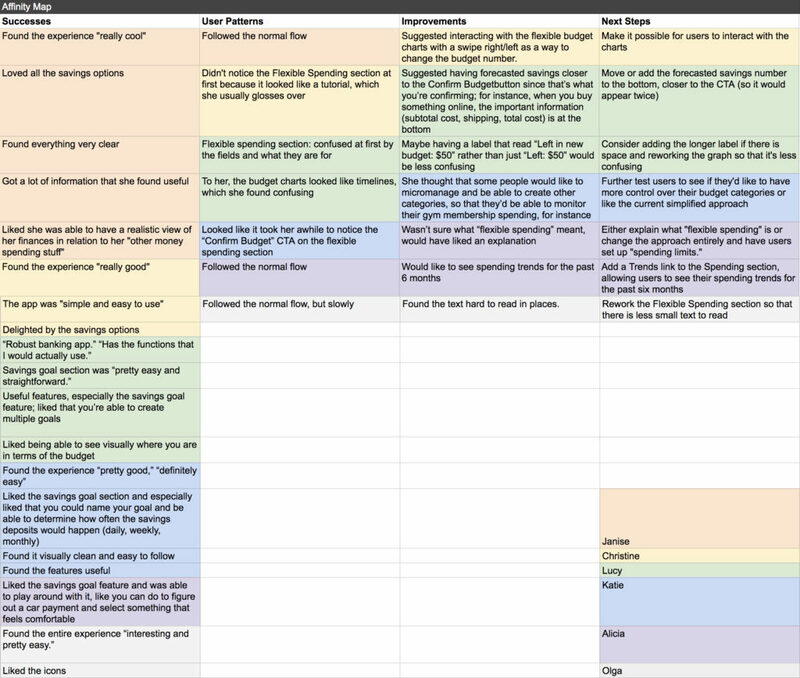 With the results, I drafted up an Affinity Map and charted out what my next steps would be. 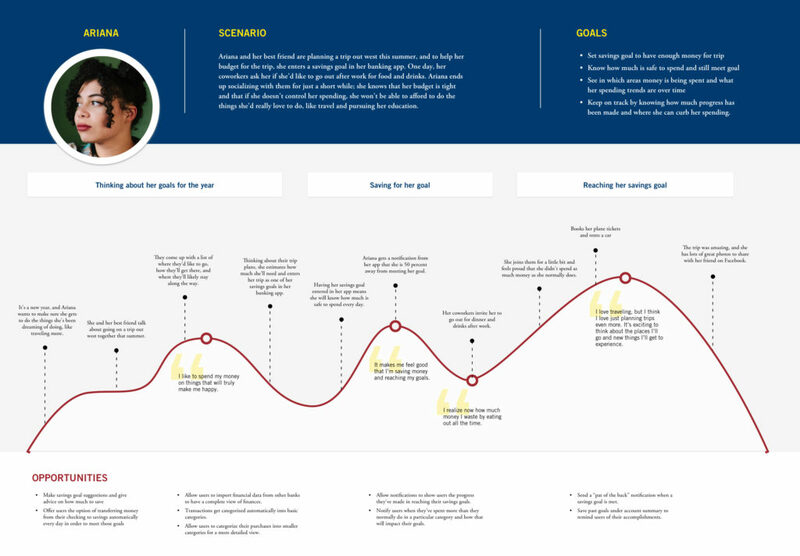 The final step for this project was creating a high-fidelity prototype. You are welcome to explore the prototype on your own! 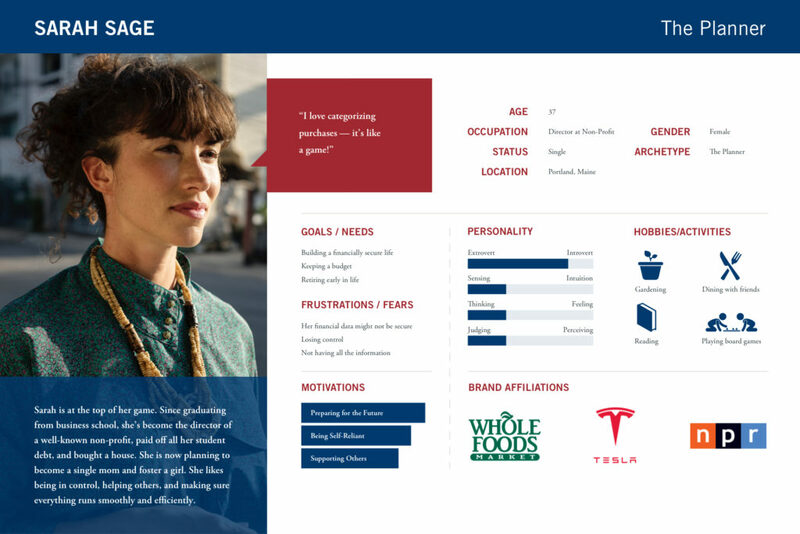 If this were an actual product, the next steps would be to conduct analysis and more user testing research on how people are actually using this new budget feature, and make the relevant changes to the interface based on user needs and behaviors.